The statistics on women and girls in Afghanistan are appalling. Only 21% of girls complete primary education, less than 13% are literate and the country’s maternal mortality rate is one of the highest in the world. Despite a new constitution, adopted in 2004, which recognizes women as equal citizens under the law, for most women in Afghanistan, little has changed since the days of the Taliban. In many parts of the country, women and girls are too often victims of violence with few prospects for a brighter future. Yet, in between all the dark statistics there is humanity and there are exceptions. Talking with Alka Sadat, I found both. Here is her story. Female Afghan filmmaker and Bpeace Fast Runner Alka Sadat.Alka is a female Afghan filmmaker and one of Bpeace's Fast Runner entrepreneurs. To help Alka complete her current project–Afghan Night Stories–Bpeace volunteer experts from the film industry provided creative consulting on developing the movie's poster and trailer, as well as support in writing grant applications for funding to complete post production. Alka subsequently received funding from IDFA Bertha Fund in Amsterdam. 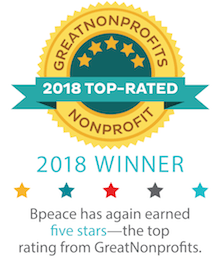 Bpeace also provided consulting services in marketing and HR by helping to edit her professional bio, company brochure, and HR manual. Below is her story written by Bpeace member Carla Bachechi. Alka and Roya Sadat are sisters living in Afghanistan. They are award winning documentary filmmakers and they own and operate “Roya Film House,” an independent Afghan film and production company. Their films and T.V. dramas explore social issues and injustices, drawing attention to the challenges faced by Afghan women and children. Listening to Alka talk was inspiring. I wanted to cheer her on! But I also wanted to know, how was it possible for two young women in Afghanistan to make movies about issues affecting women? Alka said, “It was hard. But it all started with “Three Dots,” a movie that Alka’s sister Roya was determined to make. Shortly after the Taliban regime was ousted, Roya sent the script she had written for Three Dots to Afghan director Siddik Barmak. Barmak thought Roya's film project was worth supporting and found a Japanese production company to fund "Three Dots–Se Noughta." It would never have been possible without the permission and support of their father. “It was a struggle at first. Father was very sad. He did not want to see his daughters in danger and it was dangerous.” But Roya was resolute and finally convinced her father to support her. Watch the full version of "Three Dots"
Watch the full version of "Half Value Life"
Bpeace provided creative consulting on developing the movie poster and trailer.In her latest project, Alka is taking a new direction–a film about Afghan soldiers. She explained, “I had many questions when I started. We lose so many people. I wanted to understand why people want to join the army. I wanted to know how they live together with so many different tribes and ethnic groups.” Alka was warned that this was a film she would not be able to make. But for Alka, “When they say you can’t, I say I can.” And she did. Through the Ministry of Defense, Alka found a Special Forces group and spent the next 2 years, working alongside them to make her movie. 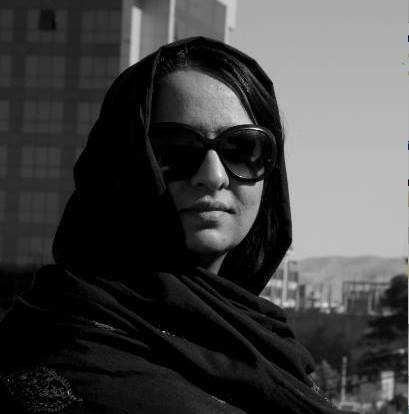 In 2013, Roya and Alka founded the Herat International Film Festival. Their goal was to expose international films to more people. Alka explained, “In Afghanistan, we do not have cinemas, so we wanted to make international films more available. We chose Herat as the venue because it is a place where women do not really come out of their homes. We wanted to give them an opportunity to see serious movies and a chance to see the situation of women in other countries. It is important for people to connect with each other.” Films about resilience and about Afghan women picking up the pieces of their lives, devastated by war, and moving forward dominated the lineup. The festival attracted many families. Fathers and husbands brought their wives and daughters. “They stepped out to watch our festival. Nothing could have given me more pleasure and joy.” Alka enthusiastically predicted this year’s festival, scheduled for Fall 2014, will be even bigger and will include a workshop for young filmmakers. You can read here about the awards and success of Roya Sadat, Alka’s sister and partner in Roya Film House.